HESS power plants HPP Boštanj, HPP Arto-Blanca, HPP Krško and HPP Brežice generated a combined total of 590 GWh of electricity in 2018. The past year was characterized by favourable hydrological conditions for electricity generation, specifically throughout the first half of the year and then later in November – this resulted in a higher generation output, which exceeded the annual target by some 2%. In addition to the electricity from the hydroelectric power plants, in 2018 the company HESS also generated 176 MWh of electricity at its Kisovec-based solar power plant MFE Evrovartrade. 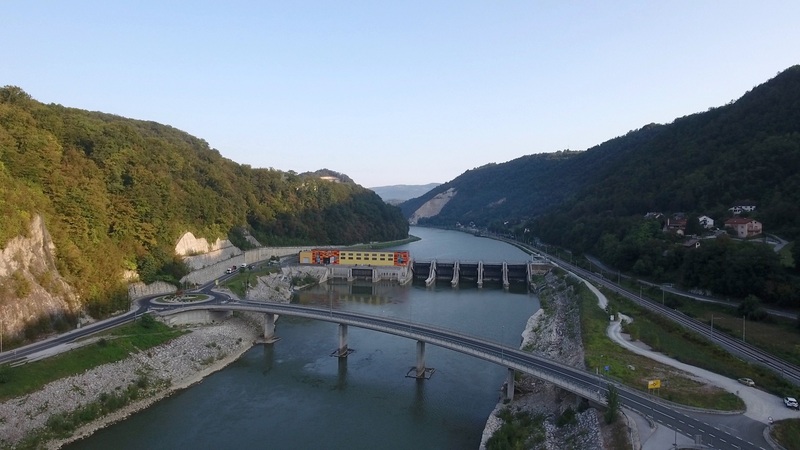 Having successfully completed its one-year trial operation and obtained the operating license in October 2018, HPP Brežice, too, is now in regular operation and serves as the only permanently manned hydroelectric power plant in the chain of four HPPs on the lower course of the river Sava, from where the operation of the upstream hydroelectric power plants and the HPP Brežice reservoir flood relief channel can be controlled and monitored. In 2018, all planned maintenance operations were carried out in accordance with the annual maintenance plan, allowing us to run a safe and efficient production of electricity. Some modifications were also carried out on some of the systems, devices and equipment components at individual power plants in order to increase their operational safety and reliability and to facilitate their maintenance. In recent weeks we have also already started the first periodic maintenance operations planned for 2019.